Last month I purchase a couple of products from Estée Lauder as I needed a new Daytime moisturiser, click on the link if you would like to read the post, Pregnant Mummy Treats. 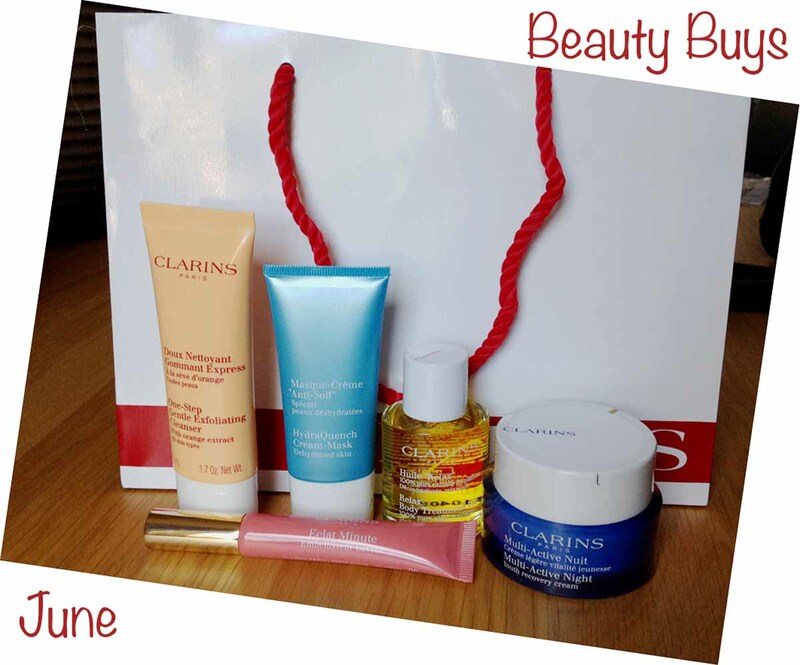 This month, I needed a new night time moisturiser and I opted for Clarins as Boots had an offer for three free travel size products when you purchase two items from their range (one to be skin care). 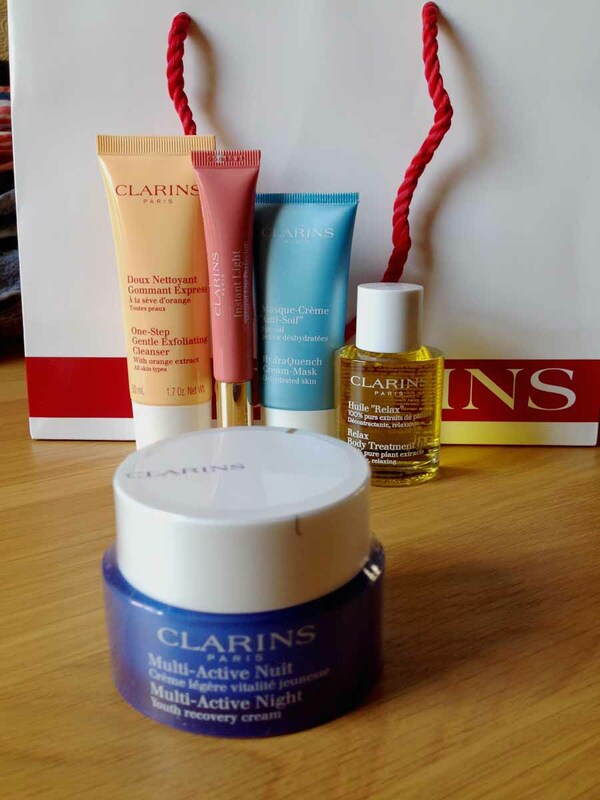 I chose the Clarins Multi-Active Night Youth Recovery Cream for dry to combination skin. 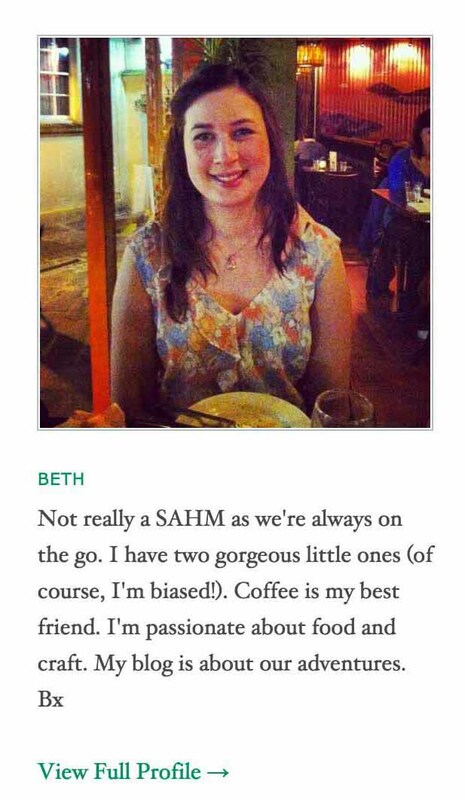 This product is good for ladies in their 30s, like me to help prevent the early signs of ageing. It has a light-weight feel and subtle scent which is perfect for the summer and the sensitive noses of us pregnant women who cannot tolerate overpowering smells. My second purchase was a bit of a treat and I can’t wait to use it. 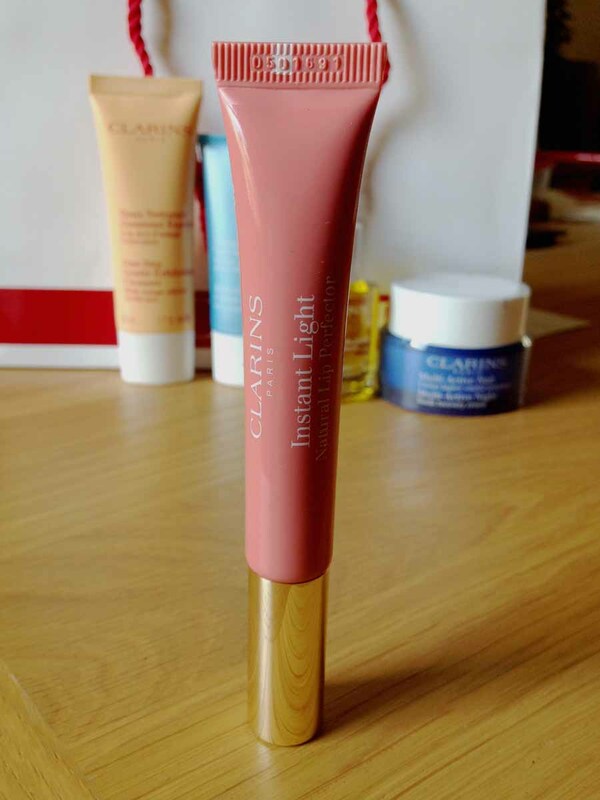 I went for the Clarins Instant Lip Perfector in 05 Candy Shimmer. Again, a gorgeous summery buy with a bright and girly shade. I will update you on the wearability of this product but in the store I tested it on my hand and it didn’t budge or wipe off as I faffed about sorting a few things. For my three free travel sized products I chose the HydraQuench Cream-Mask for Dehydrated skin, the One-Step Gentle Exfoliating Cleanser, and lastly the Relax Body Treatment Oil. I plan to use the latter on my stomach as apparently it is good to prevent stretch marks, which thankfully I didn’t get in my last pregnancy and haven’t had so far. Fingers crossed I don’t get any.